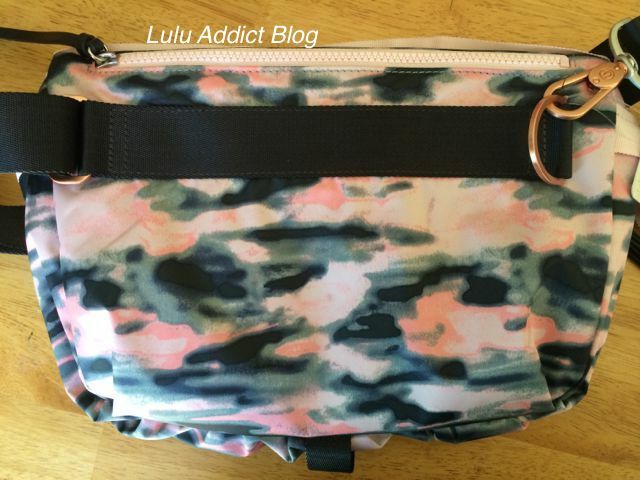 Wamo Camo Go Lightly has a mesh top. Cashew Go Lightly has a solid top zip pocket. 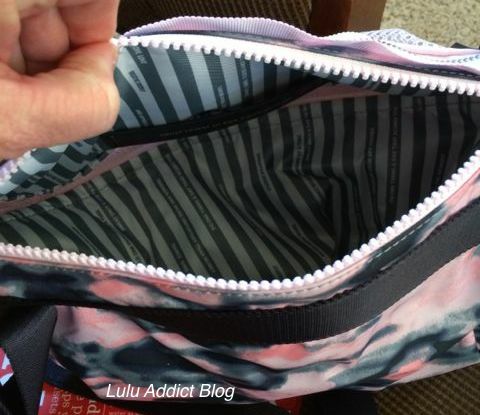 Looking inside via the front zipper. Back zip pocket for your iPad mini. 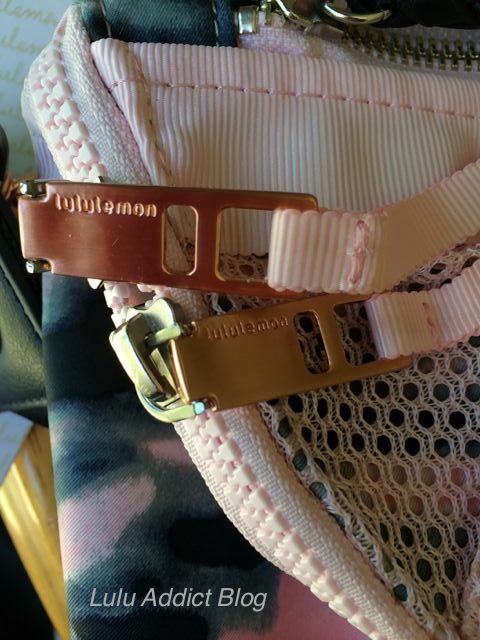 Looking inside via the back zipper. 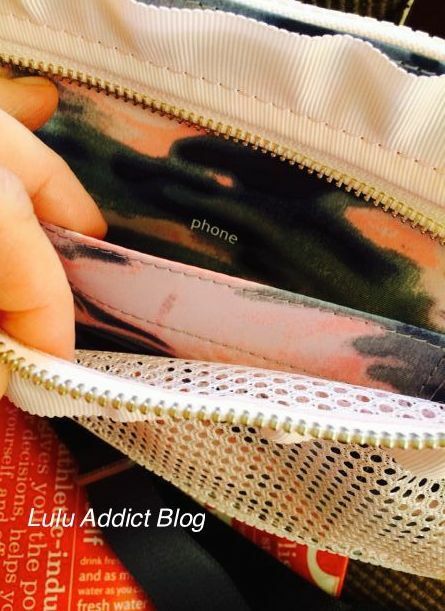 Phone pocket inside the mesh top pocket. My iPhone 5s will not fit in this pocket in its Speck Candyshell case and it's a very snug fit for the phone when I take it out of the case. 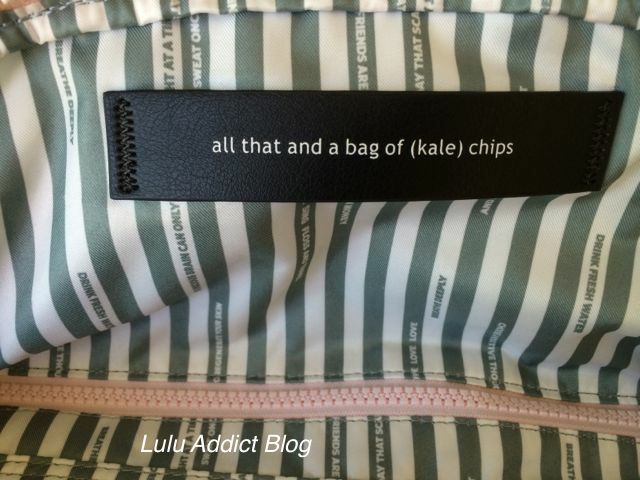 Lululemon needs to work on making phone pockets bigger across the board (looking at you, Inspire crops, and pretty much all other items). 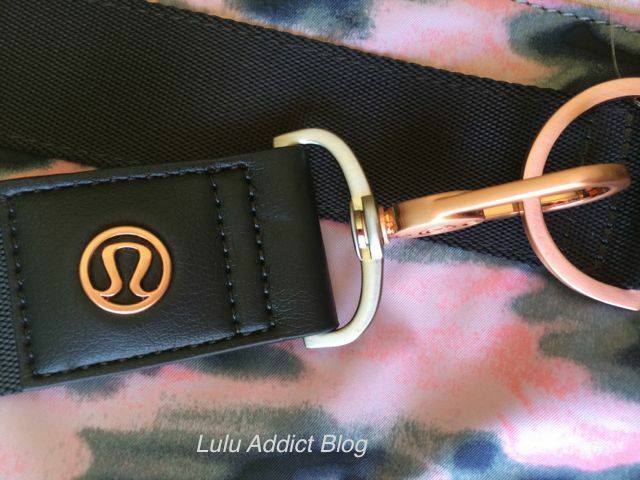 A funky mixture of rose-colored and pewter metal is used on the bag. 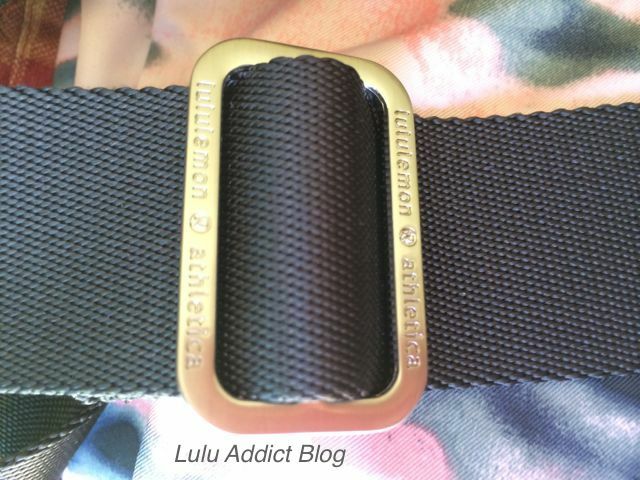 Love all the lulu symbols and brand name on the hardware. So glad to see all the labeling is back and the trend to downplaying the logo/brand name (coughcuttingcostscough) is gone. 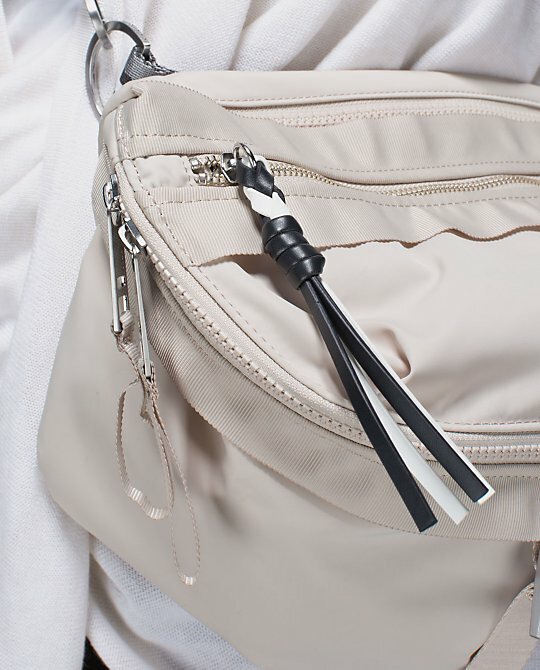 Nice braid detail on the zipper pull. 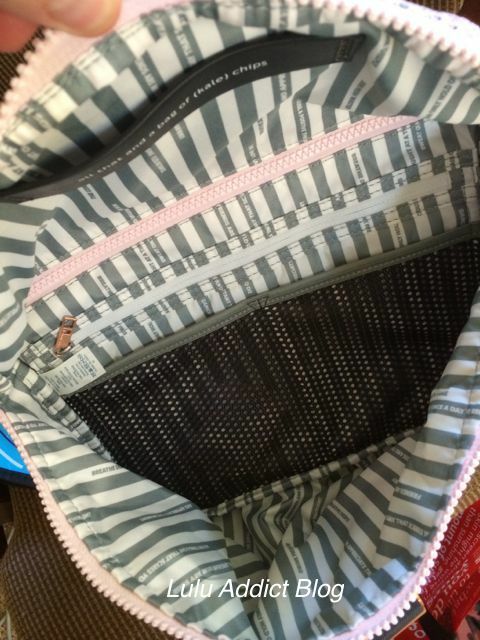 Funky striped "manifesto" interior Earl Gray lining. 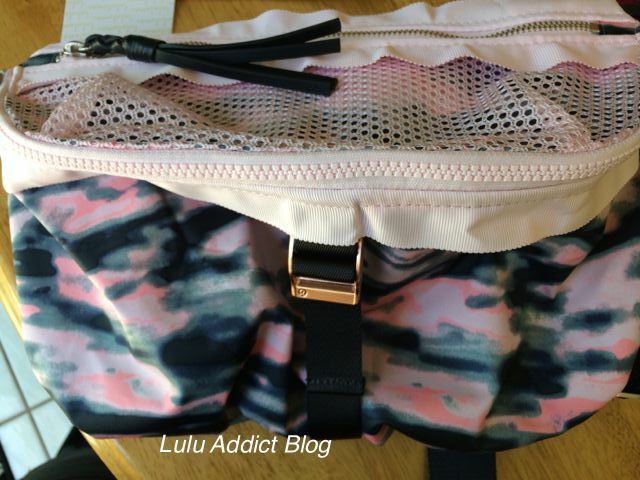 I've been reading very positive things about the new Go Lightly bag - people have been saying it's the best of both worlds between the Good Fortune and Festival bags. Tons of people were sporting their handy little Festival/Good Fortune bags at Sea Wheeze so when the Go Lightly came out I was intrigued. We recently renewed our Disneyland passes after a two year hiatus so I think this bag will be perfect for theme-parking. How much is the bag, LLA? 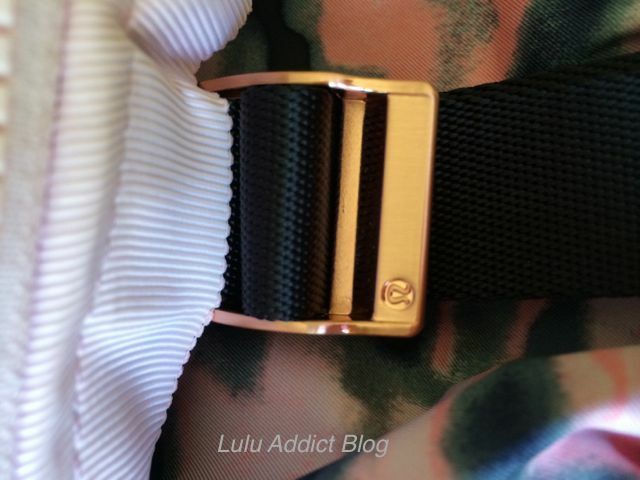 Thanks so much for the detailed post! My Iphone 5 does not fit into my Groovy Run shorts pocket in the back. Maybe I'm alone here but I think the mesh top ruins the look of it. I've used the mesh and a lot of things catch on it. Not sure the exact purpose of it.